I have been following many teaching blogs and I decided today that I would do my first 'Five for Friday' and join the linking party at Doodle Bugs Teaching. Hope it's not too late! #1 Made 'Earth Day' inspired arts from Pinterest by Teacher Bits And Bobs with a grade 1/2 class! We traced our hands, wrote about what we can help the earth by, and made an earth out of coffee filter paper! 'Start Up!' Your Class is a free online support and resource place specifically for student teachers, TTOCs, early year teachers, and new teachers but of course all is welcomed! I received today a free book outlining how to start your class successfully in the first week of school. I learned a lot and I realized a lot of the things I taught in kindergarten in the first week while also watching my SA were congruent with what this book suggests so I know it works! #4 Created a music chord worksheet for my students who are learning about triads and chords! 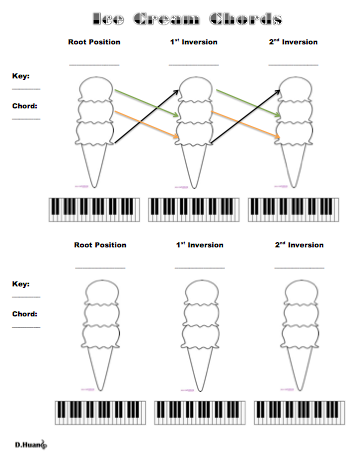 Ice-creams are a great way to learn how chords are formed. 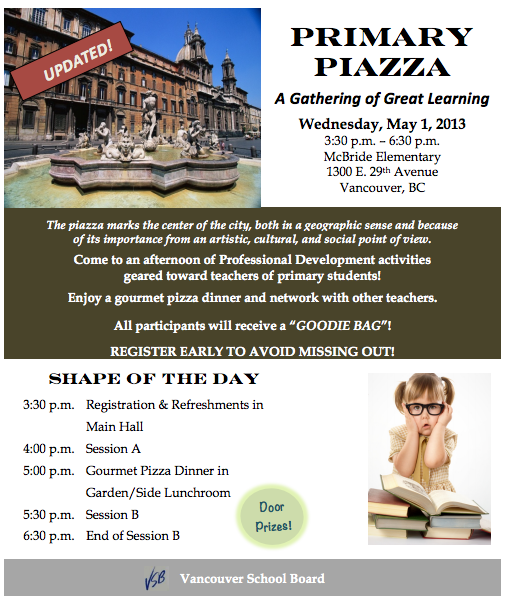 #5 Will be volunteering at the 'Primary Piazza - A Gathering of Great Learning' run by VSB on May 1, 2013. Come check it out if you're interested as it is an after school professional day development with free goodie bags and a gourmet dinner as well! 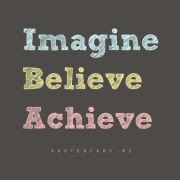 That's all for now and thank you for the linky party @ Doodle Bugs Teaching! This was fun!